One person every 48 seconds contacted a Yorkshire-based national debt charity for help last year - with single parents being the fastest rising group seeking help. Record numbers contacted Leeds-headquartered StepChange in 2018, representing an “ever-increasing” scale of demand, it said. Last year, 657,930 people contacted them for help, up from 619,946 in 2017. 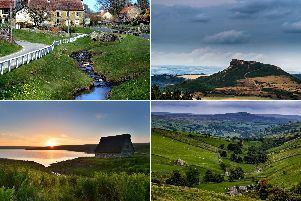 One in ten were from Yorkshire and the Humber, with the North East and London only ahead of it when it came to ranking the region’s by which the charity’s clients were located. The charity said the “profile” of those seeking help, and the type of debt they were in, had continued to change, with a particularly notable increase in single parents, 85 per cent of who were women, getting in touch. Almost a quarter of all those seeking debt advice were single parents - and the charity said the were “increasingly over represented”, given they account for just six per cent of the population. The top three reasons for debt were unemployment or redundancy, injury or illness, or reduced income for other reasons. The most common form of debt was credit card debt, followed by overdrafts and personal loans. There was a “small but worrying” rise in the proportion of new clients with payday or other high cost short-term credit debt, StepChange said. Chief executive Phil Andrew said: “The number of people who contacted us last year works out at one every 48 seconds – a record level of demand. That’s the scale of the debt problem in the UK, and our advisors hear every day the devastating impact that debt can have on people. “While a huge amount has been done to support people in problem debt and reform credit markets, our client insight shows that there’s still much more for government, policy makers and creditors to consider.